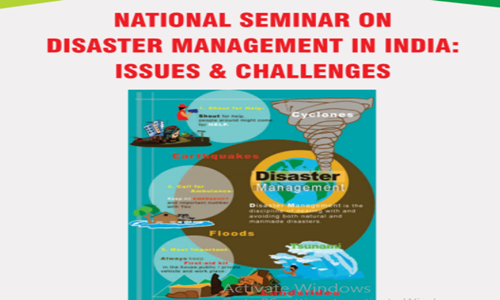 Bharata Mata School of Legal Studies, Choondy, Aluva, is organising a National Seminar on Disaster Management in India: Issues & Challenges. The Chief Guest for the inaugural session is Mr. Justice CN Ramachandran Nair, Chairman, Dam Safety Authority. The Chief Guest for the valedictory session is Mr. P Mohanadas, Member, Kerala State Human Rights Commission.